Chef Wanted with Anne Burrell is helping restaurants around the country turn their kitchens around by giving talented chefs the opportunity showcase their skills. Last week’s episode came down to two talented chefs, and despite not winning, Chef Jernard Wells was gracious enough to speak with us about his culinary inspirations and his experience on the show. FP: We read that you started cooking at a really young age. It seems like you were destined to be a Chef/Entrepreneur. What do you enjoy most about being a chef? JW: I enjoy seeing other people smile from tasting my food! FP: We smiled just looking at your food on TV so we can only imagine how good it tastes in person! JW: Anne Burrell- I like the fight in her and everything she has accomplished being a female chef. Bobby Flay- I feel that he has a great eye for creativity. FP: Tell us about your experience on Chef Wanted from casting to filming. What was it like to compete with the other chefs? How was it to interact with Anne Burrell? It seemed like you two had good banter back and forth. JW: From beginning to end, Chef Wanted was a pure adrenaline rush with lots of long days and long nights! With Anne Burrell, it was a great connection and bond and our chef skills synced right from the time we met. It was an honor to be around someone that carries so much food knowledge. FP: When you are home, what are some of your favorite meals to cook for yourself? JW: My favorite meal to cook for myself is a bourbon-glazed, blue cheese-stuffed Filet Mignon. FP: If you go out to eat, name some favorite places in either Chattanooga or other cities you’ve visited. JW: When I go out to eat, I like Public House in Chattanooga, Ruth Chris in Atlanta (soon coming to Chattanooga) and Charles Vergos’ Rendevous in Memphis. JW: I over-indulge in coconut prawns and I love a BBQ-pineapple bruschetta. FP: Can’t go wrong with those! We love your concept of a Kids Summer Cooking School. Tell us more about it. How did the idea come about? JW: It came about because I am a father of nine kids and I wanted to give kids something to keep them active and give kids a chance to create dishes they would like and love. FP: Wow, you must be a master at kid-friendly meals with nine children! JW: Always cook with love! FP: That’s why they call you The Love Chef! JW: My Dad who is deceased, Chef Mario Batali and Oprah. I would prepare a Rosemary and Mint Truffla Lamb pan seared with a Champagne Couscous overlay and a Butternut Squash Caviar. FP: Yum! We understand you’re also a best-selling author. Tell us the inspiration behind your most current book, The Weight of Expectations. The Weight of Expectations, focuses on the expectations of life, the weight that it carries, achieving greatness spiritually, and healthy eating. The Weight will help jumpstart the inner being in you, awaken what has been instilled inside, reform your self-conscious, help you become the person you always wanted to be, release the weight, reclaim life, lose low self-esteem, lose weight, lose poverty & gain wealth and a healthy body, mind and connection with God. FP: The book sounds inspiring. We will add it to our reading list for sure! Any future books in the works at the moment? JW: I’m working on a healthy kids cookbook to help parents create healthy meals for their children using fresh herbs and vegetables. FP: That sounds great! In three words, how would your friends describe you? JW: A chef… just playing! I would want to be a lawyer, because my parents had many lawyer friends so I had time to spend around them. FP: What are some of your non-cooking hobbies? JW: Spending time with my beautiful wife Keena and my family and flying mini-helicopters. I am also a movie guru, wine collector, and I love to travel. Great posting about Chef Jernard! Thank you so much for giving us a chance to peak a little more into his life. 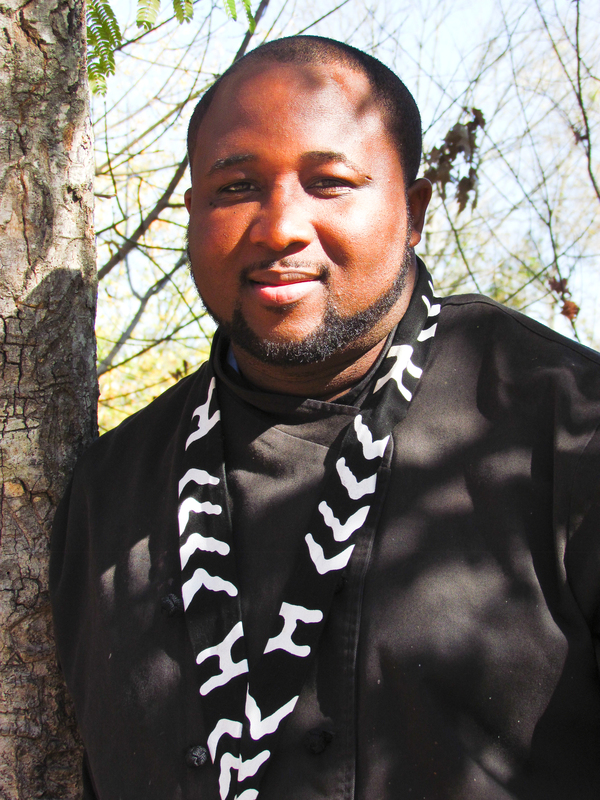 Thank you for reading our interview with Chef Jernard! This is very inspiring for a future Culinarian/Baker ! Thank you so much for reading the interview with Chef Jernard.